Home›Reviews›Ratt and Roll on the Vamp'd Vegas Stage! 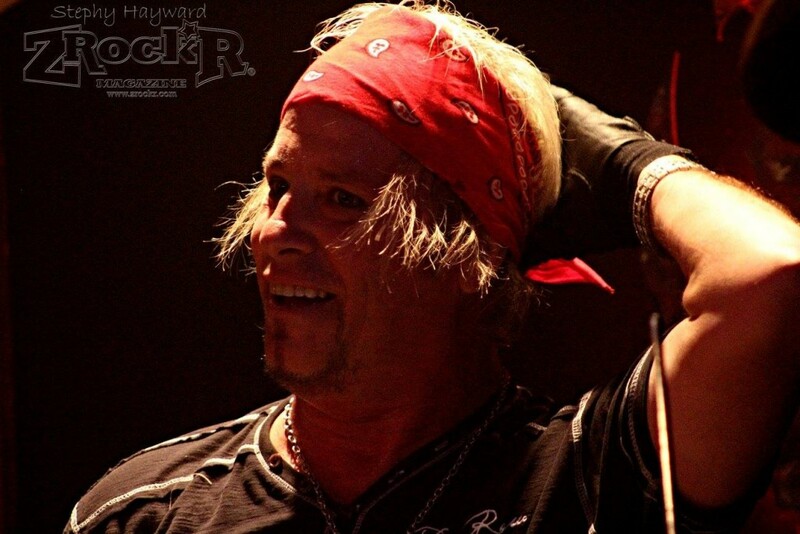 Bobby Blotzer and the Sin City Sinners! 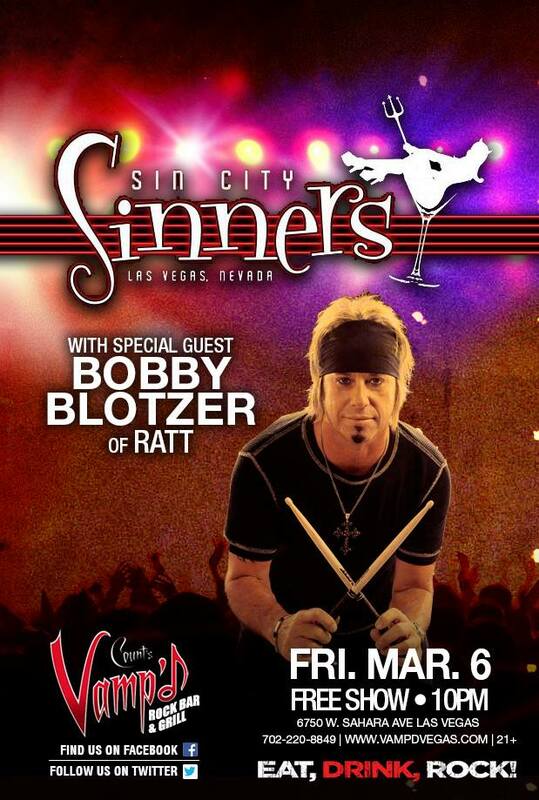 The Sin City Sinners played Vamp'd on March 6, 2015, with special guest Bobby Blotzer (Vic Vergat Band, Ratt, Contraband). 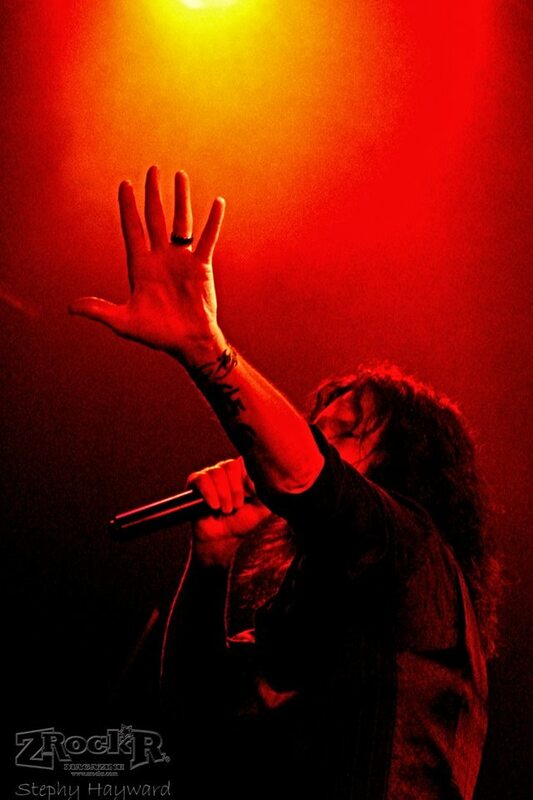 It is hard to believe, but out here on the Vegas music scene, we have now had eight years of the Sin City Sinners! 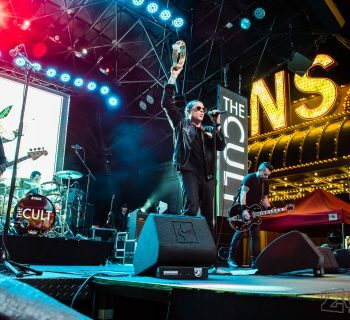 Featuring some of the most talented rockers that call the Las Vegas Valley home, this is a band that rocks Southern Nevada weekly across various venues. What started as a little “jam band” several years ago has evolved into something where the fanbase is certainly not restricted to the Silver State! 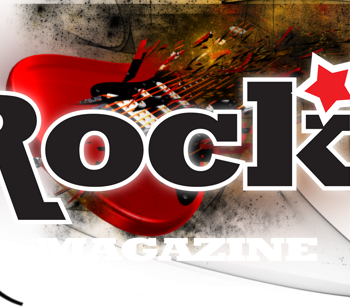 The band’s lineup currently consists of lead vocalist Joshua Alan (BlackBox 13), guitarist Michael “Doc” Ellis (Love/Hate, Jimmy Crespo), bassist Scotty Griffin (LA Guns), drummer Rob “Boom Boom” Cournoyer (Raging Slab), and guitarist Brent Muscat (Faster Pussycat). Muscat was not in attendance at this particular show, making it a four-piece band, with only one guitarist. It is also worth mentioning that the band members do tend to swap off vocal duties on select tracks. 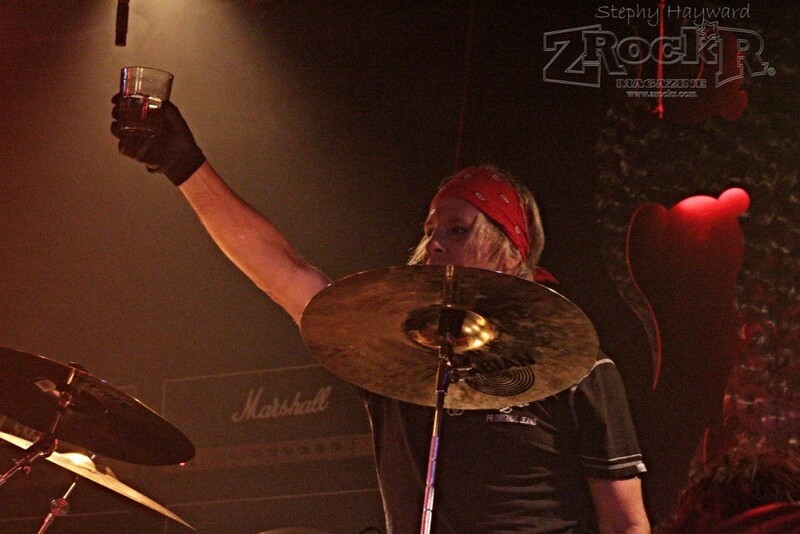 Bobby Blotzer toasting the Vamp'd crowd. The Sinners always manage to keep things fresh and interesting, with diverse setlists that include original songs and covers alike. This is a big part of what attracts people to see the band, and it is always fun to see what tracks they are going to perform; in some instances they have even taken songs that are hardly “rockers”, and put their own spin on them. Not an easy thing to do, but the Sinners pull it off nicely. 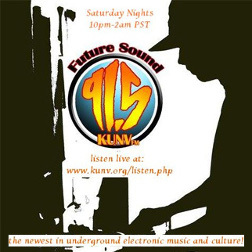 Furthermore, the Sinners always manage to keep things interesting with an extensive array of guests – well over a hundred different people, including musicians and more, have played with the group, with many of whom coming from major bands. 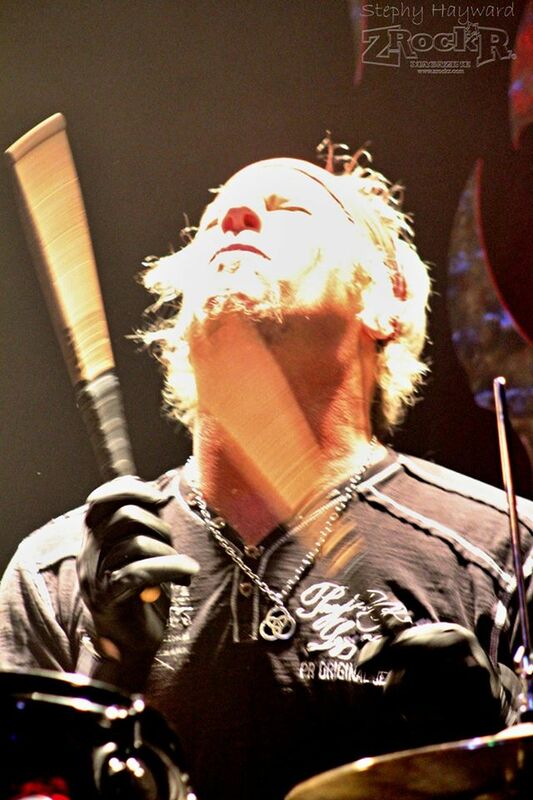 As Ratt’s classic drummer, Bobby Blotzer is a fine addition to this ever-growing array of interesting guests! Scott Griffin performing "I Wanna Be Your Dog". The first half of this show featured the core band doing what they do best; as was previously mentioned, for reasons unknown, Brent Muscat was not present at this show. For being such a guitar-heavy band that often uses two guitarists, Michael “Doc” Ellis filled in the void nicely – this guy is seriously underrated as a guitarist! (Keep in mind he was the band's bassist for several years in the past.) There were plenty of interesting moments in the first half of the show, including the band playing some of their originals, and some interesting cover tunes as well. One of the highlights of this set was hearing Scotty Griffin sing the Stooges classic, I Wanna Be Your Dog. Not only was this an excellent cover of a great song, but he pulled off his jacket and shirt during said performance, casting them aside, much to the delight of the many female fans in attendance! The first set was just the tip of the iceberg for Sinners fans. Things got even more intense following the band’s brief intermission and the arrival of the great Bobby Blotzer on drums! A few other cover tunes were played, including the rather unexpected (and surprisingly good!) rendition of the Police's Message in a Bottle. Needless to say, roughly half of this set was Ratt classics, for which the band was joined by two additional guests – guitarist Blaze, and former Ratt vocalist Jizzy Pearl! This lineup more than did justice to these classic songs, thoroughly rocking the audience. My one complaint was the omission of two of my personal favorite Ratt hits; Wanted Man and You Think You're Tough. But that is a small price to pay considering the band played Ratt songs that even Stephen Pearcy (classic Ratt singer) does not play in his solo shows! Blotz was even good enough to come out and sign autographs and take pics with the fans following the performance. 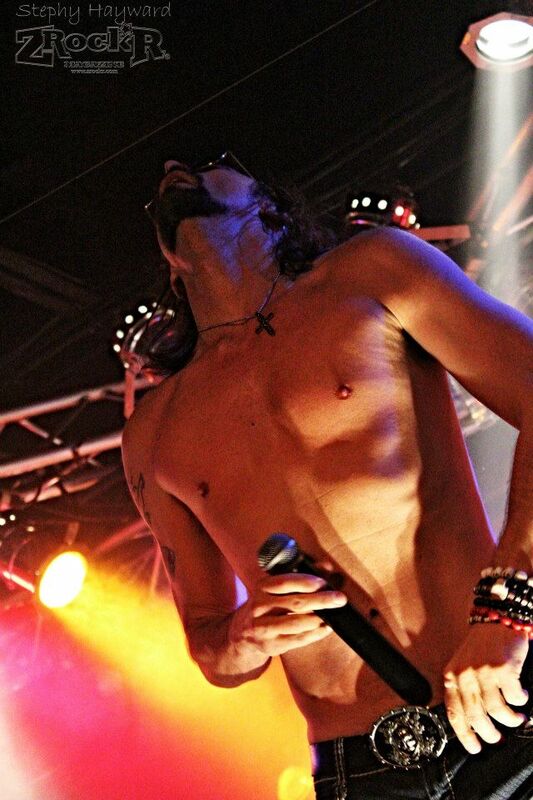 Jizzy Pearl performing with the Sin City Sinners. The Sin City Sinners and their shows are something that any rock and roll fan in or visiting the Vegas Valley needs to experience at least once. The band members, the on stage antics, the diverse setlists, the special guests; there is always something for people to enjoy here, and this was easily one of their best performances of 2015 so far. That Metal Show Night at Vamp'd One of the Hightlights for Certain of 2014!